A haven for the angry birds no more. 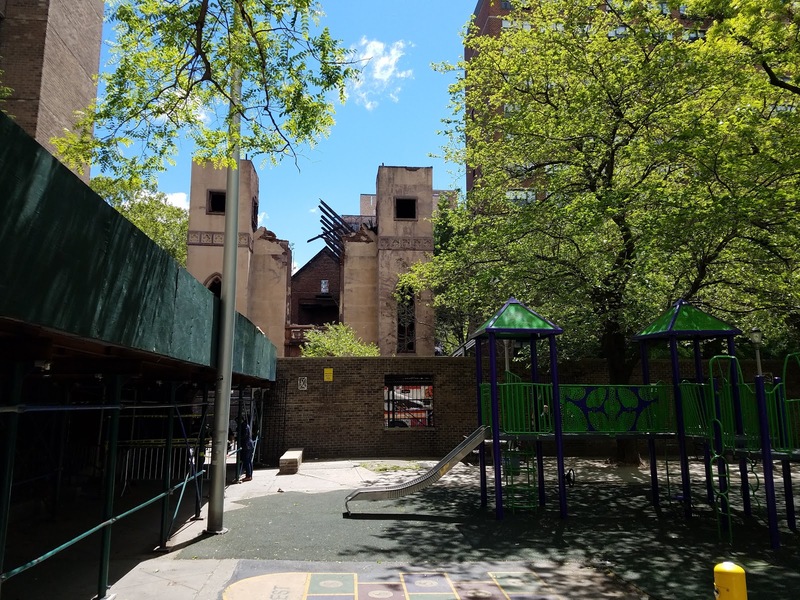 Beth Hamedrash as seen from within a New York Housing Authority playground. The back parking lot of the church. Cut fence can be seen on the left. It is with great sadness upon learning that the Saint Pigeon of Urbana is no longer a part of this world. 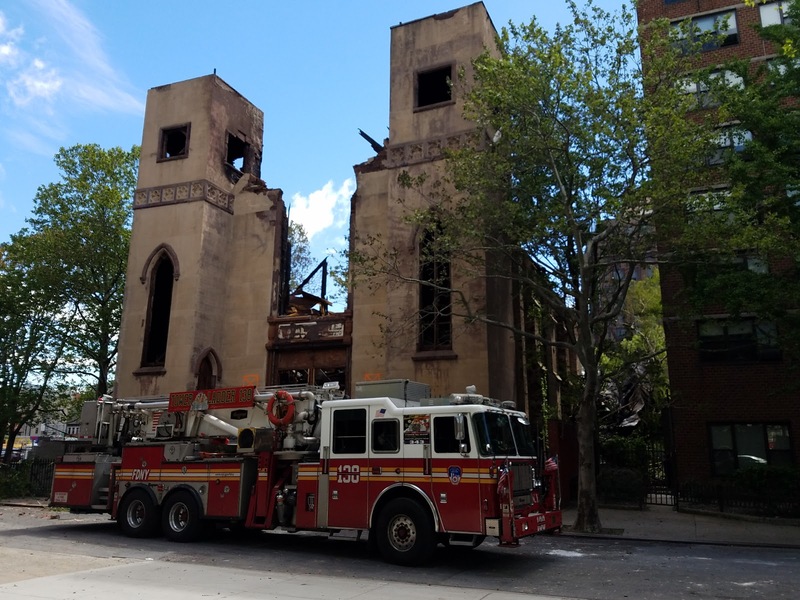 In a three-alarm fire, the church succumbed to a fiery blaze Sunday afternoon. Smoke from the blaze was reported to have been seen all the way in Brooklyn. 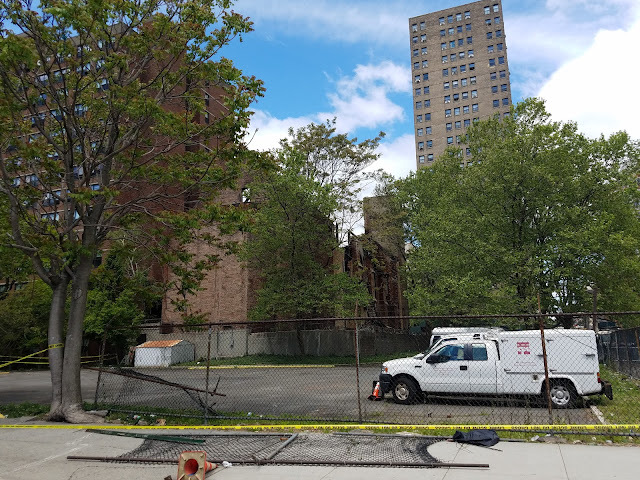 It seemed Beth Hamedrash Hagadol synagogue was getting too "hot" per say as everyone soon started to learn about its location. 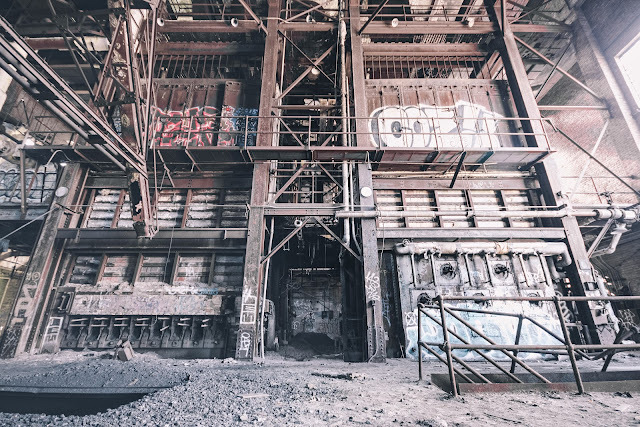 It may come to others surprisingly that Manhattan of all places would have an abandoned spot within its locality. A secret well kept by those who explored the synagogue early on before its location became well known in the Lower East Side. Beth Hamedrash Hagadol was a 167-year-old church that was formerly known as Norfolk Street Baptist church. 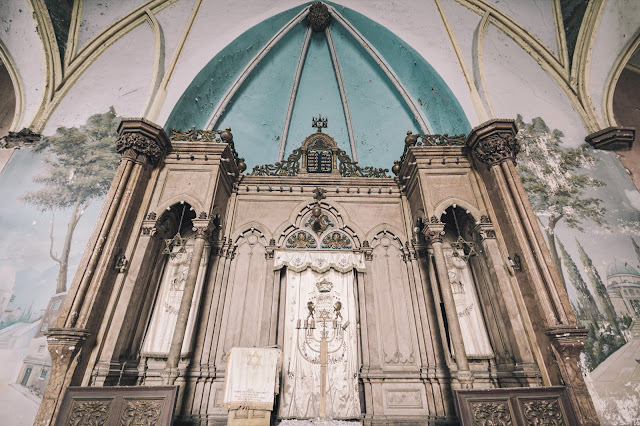 Built in 1850, a Methodist church at one time and purchased by the synagogue in 1885, the Gothic revival synagogue was landmarked in 1967 before closing in 2007 due to expensive maintenance the 15 congregants could no longer afford. In 2011, the property was given a vacate order. The owner and community ever since have been in a tussle over its preservation. The owner wanting to demolish the building to sell to developers for the next Manhattan highrise and the Friends of Lower East Side fighting for its preservation. Status: Destroyed by blaze May 14, 2017. To be demoed.